Ever wanted to live a life of luxury, but are just a few billion dollars shy? Now, with simple web technologies, anyone can have access to just about whatever they need, without having to own it all. In fact, I’m already living this way, as I wrote in a personal, heartfelt note to brands, telling how I want to have an open relationship. As part of my ongoing research into the next phase of social business, I’m covering the Collaborative Economy, where people are sharing goods and services using the internet. You can read the definitive report, or peruse all the posts. 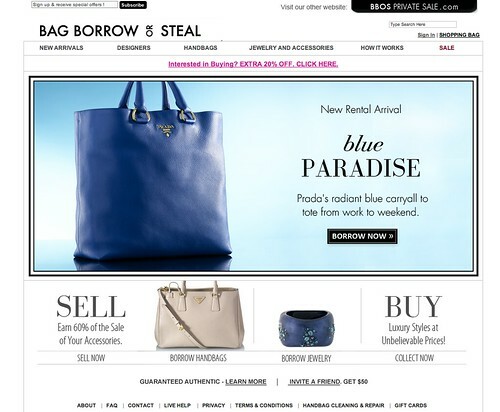 Marketplace Solves Needs: Consumers Want Access to Luxury; Owners Saddled with Idle Inventory. In our research interviews, I chatted with a young financial services executive who was likely making six figures. He gave a key quote: “I just want access to luxury –I don’t want to own it.” For those that own luxury goods, they also know what a pain it is to do so. One popular idiom about luxury goods is, “The two happiest days with your boat are they day you bought it and the day you sold it.” Owning luxury is often net-negative when all costs are counted. To solve these business woes, a new market of Collaborative Economy startups have emerged that enable shared access and ownership between individuals and companies. For the most part, traditional, big retailers and corporations are not activating in this market, which leaves them exposed if this second market of buyers continues to act like their own companies. First Mover Opportunity: An Open Market for Traditional Brands and Retailers to Forge the Way. Big retailers and big luxury good creators have a great opportunity. They should offer these same services of rental (which we call “company as a service”) to their own customers, giving access to rental products at a subscription. The upside includes access to new markets that could be an entry to try goods or using them in a long term commitment on a subscription basis, thereby forging early brand loyalty. While there will be product wear and tear, the opportunity to sell a product ten times, instead of once, is there for the savvy retailer who can activate its unused or unwanted inventory. Retailers and big brands have at least two business opportunities: 1) Enable idle luxury inventory to be available on demand in the ‘company as a service’ model, 2) Activate a marketplace of buyers and sellers around them which we call ‘motivate a marketplace’. The Future Becomes an Ecosystem of Luxury Access for Anyone. 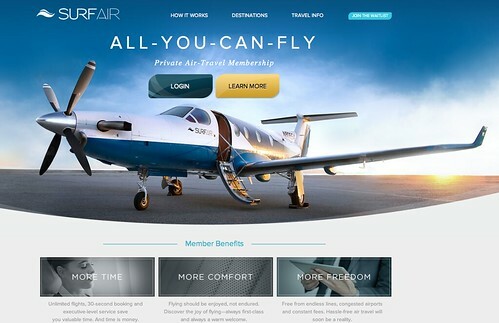 At the Surfair launch, where planes can be accessed via a monthly subscription, I spoke to the owners of the startup who are trying to connect with town cars and luxury cars so that, as folks land on ground, they can then use an on-demand luxury car. This of course, could tie to luxury stay locations, services, and personal assistants, all ready to go. Expect that these companies will partner together, forging a consumption chain all tied to the luxury market. One of leading venture capitalists in this space is the former social software executive of Leverage Software, Mike Walsh, of Structure Venture Capitalists, who has investments in Boatbound, Uber, Surfair, Popexperts and more. I follow him, and I think you should too. Taking a page from Peugeot’s focus on mobility beyond cars, expect new types of luxury services to emerge on demand, including a network of spas, men’s clothing, sports cars, shared services at airport lounges, and access to specialized local fine dining. Corporations that cater to the luxury lifestyle must quickly recognize that these changes are imminent. Consumers may also want access to, not just ownership of luxury goods. 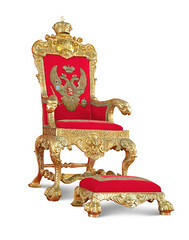 Unused inventories of luxury goods are being activated. There are impacts to financing, ownership, and insurance for this changing market behavior. Business opportunities emerge for corporations to partner with startups. 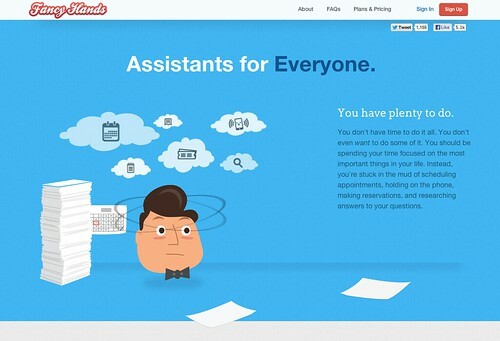 Brands can now offer products on demand as a service, not just sell them. Brands can motivate a marketplace of buyers and sellers around them, adding new value and taking a cut of all market transactions. 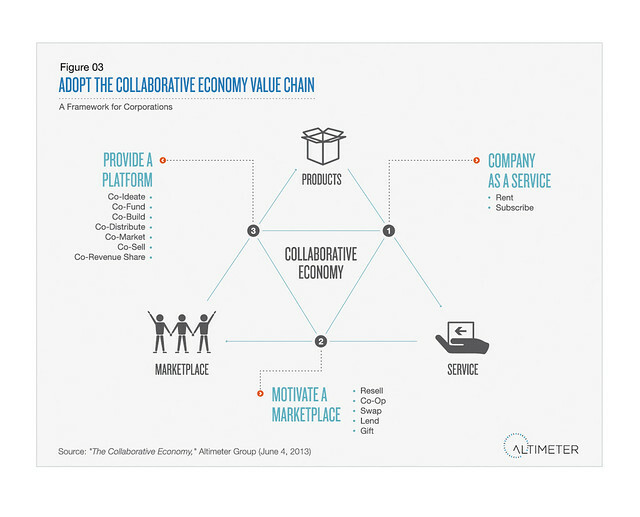 If you want to know the business opportunities, the definitive report on the Collaborative Economy tells corporations more. 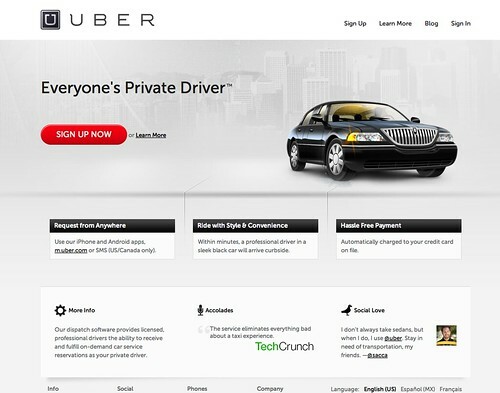 Above: Industry figurehead Uber provides access to towncars that come complete with a suited chauffeur freeing up towncar inventory. I’ve met investor Shervin Pishevar, who’s watching this space. Model: On demand service to shared access. 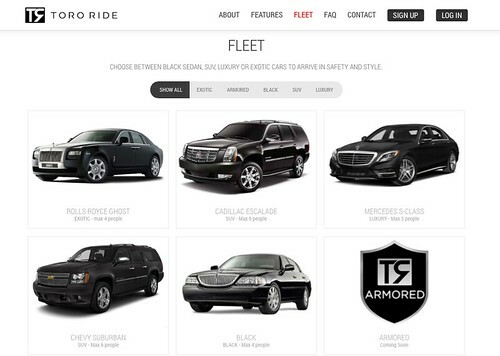 Above: Take a step up from Uber and order exotic rides,including bullet proof cars from Toro Ride. makes sense for the celebrity and political echelon. Above: Surfair (I was at the premiere launch) provides a monthly all you can fly subscription saving time –and maybe money– to have access to your own plane –rather than own and maintain one. Model: Subscription to shared access company. 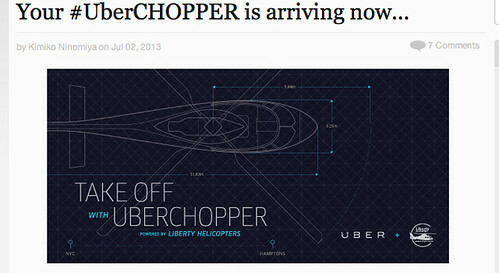 Above: Uber now provides helicopter service starting in NY to the Hamptons, which includes town car rides to and from the heliport, a chopper for 5, and a car ride to your mansion, all for $3000. 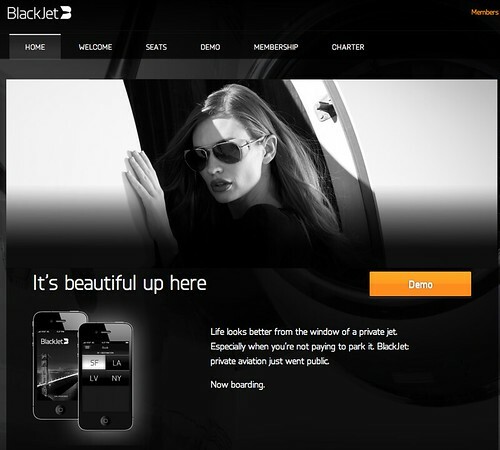 Black Jet provides access to private jets –without the saddle of ownership. Hat tip to steketee for pointing this out. Above: Bag Borrow or Steal provides rental to accessories and ability to sell your own (even cleaning services), and activates potentially unused inventory. Model: Two sided marketplace, rental, and value added services. Above: Rent The Runway makes today’s top fashions accessible to anyone. Model: Rental with value added services. 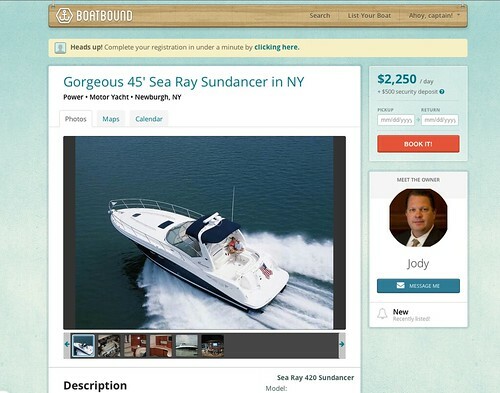 Above: BoatBound allows owners to rent and anyone to get access, in this two sided marketplace enabling the owner and those who want access to it. Model: Two sided marketplace of buyers and sellers, or as they cleverly put it “pier-to-pier”. 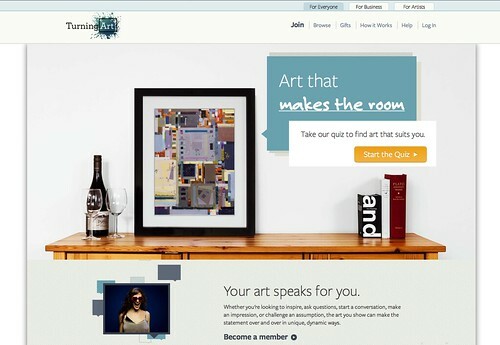 Above: TurningArt allows individuals to rent art –rather than own it, and also enables unused inventory of art to be put into market. Model: Rental service with value added services. 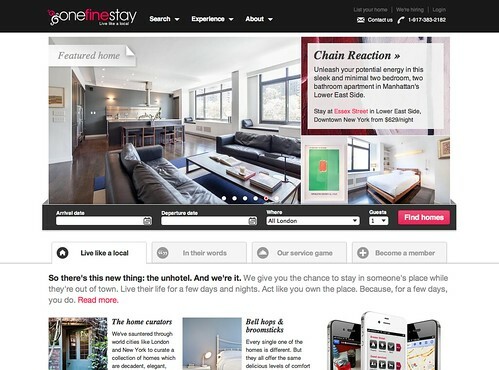 Above: OneFineStay provides top line luxury home rentals or vacation rentals for the most high end traveler. Exotic lofts in NY, or beach bungalows in the tropics are all at hand, freeing up unused second homes. Model: Two sided marketplace of buyers and sellers. 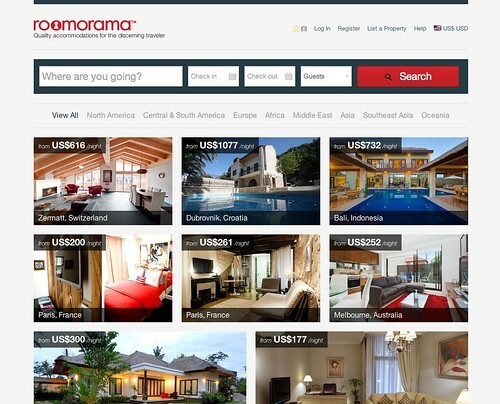 Above: Roomorama provides quality locations rather than hotels for the discerning traveler, and also activates unused inventory of luxury locations. Model: Two sided marketplace of buyers and sellers. 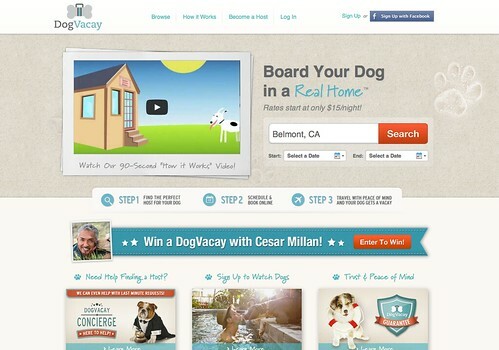 Above: Dogvacay finds a place for your pooch to stay at a local home –rather than a kennel. It also enables folks at home to activate their homes into services. Model: Two sided marketplace of buyers and sellers. 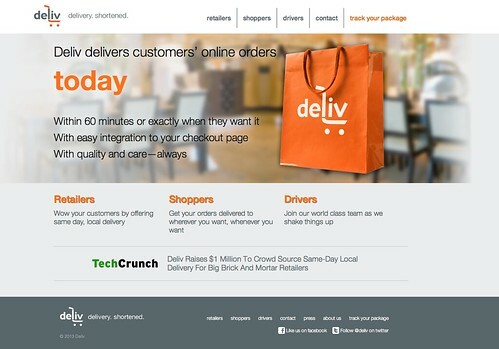 Above: Deliv means access to any good through a one hour delivery services with local retailers and merchants. It also enables merchants to get items moving off shelves, and enables a new marketplace of delivery service. Model: On demand service. Above: PopExperts Get trained by experts in a variety of practices such as meditation, golfing, language learning. It also enables experts to find clients, regardless of location. Model: Two sided marketplace of buyers and sellers of private high-end training. Above: Fancy Hands (hat tip Chris Carfi) enables anyone to have access to virtual assistants, in this membership model, it also enables the internet worker to find new clients. Model: Two sided marketplace of buyers and sellers. Above: Need a quiet, clean, and luxurious place to work on demand? 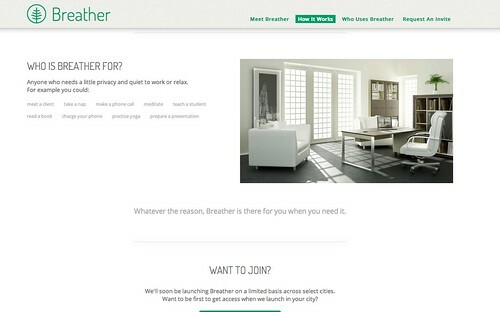 Breather gives the discerning access to a private studio. It also enables unused small inventory in crowded cities, like NY, to activate unused inventory. Model: Two sided marketplace of buyers and sellers, with upgrade of idle properties to a standard of quality. 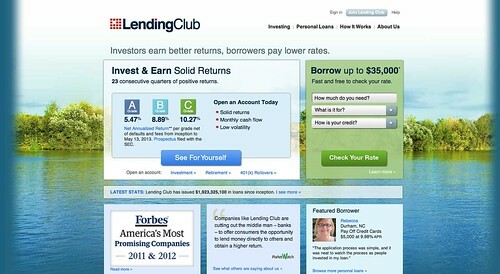 Above: LendingClub enables anyone to act like a rich uncle (or find one), lending money to peers. This model cuts out banks, with a 1% fee to the startups, enabling money to be shared. Model: Two sided marketplace of buyers and sellers. Update: See also rent a Rolox, hat tip David Schatsky. Please leave a comment if you know of other examples. My last two heartfelt letters have been awkward for our relationship. But they had to be written. I told you that customers don’t need brands, since we get products and services directly from each other using the sharing startups. 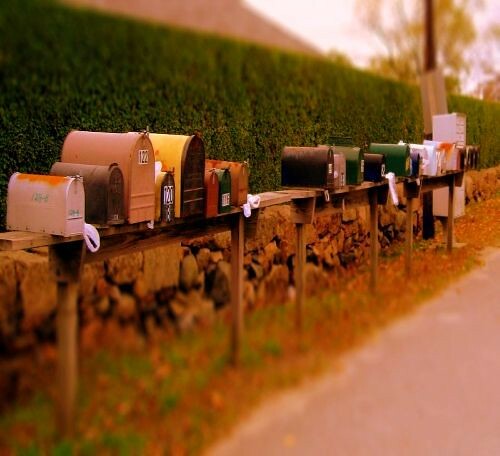 In my first letter, I wrote about how I wanted to have an open relationship. Then, in my second letter, I confided in you what it felt like to have my own relationship disrupted. The good news is that I see a solution for us to finally be together. The only way is for us each to “give a bit” to grow into something bigger. It may be difficult for us both to adjust, but we’ll end up in a better place. Even though some customers don’t want to own your products, you can still give us access to them. Even though we customers will want to share your used products with each other directly (and not have to buy from you again), we see a place for you to be involved. Even though we want to build our own products, we see that you can help provide us with a way to do it. I still need you, but you’ll have to meet me half way. It will require you to give something to the relationship to get more in return. The only way for us to maintain our relationship is for both of us to give a bit to grow something together. 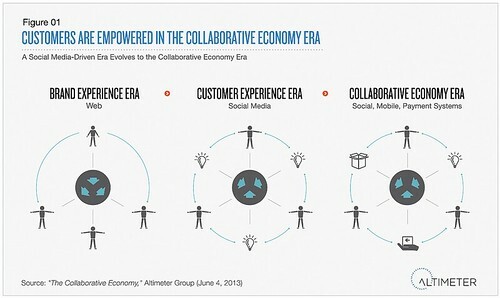 We can have a fresh new relationship and be part of a collaborative economy together. It all starts in a few days. 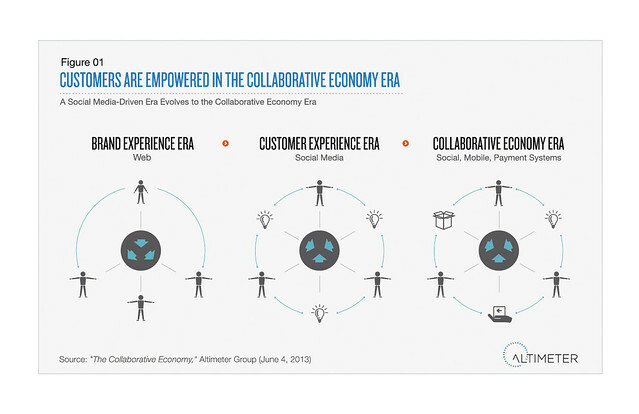 In my next letter to you, I’ll show you how we can be together in the Collaborative Economy. Our new relationship awaits. I’ll write to you in a few days.